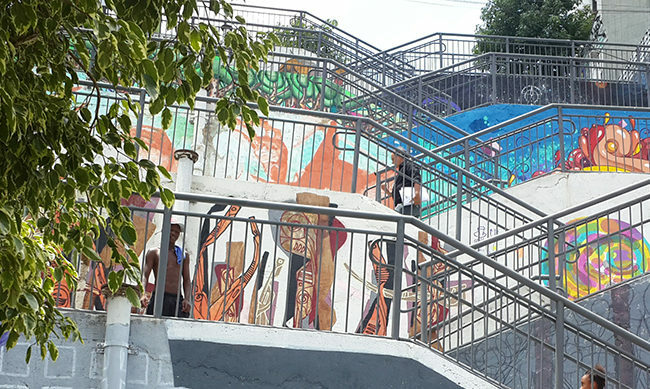 The “Mind the Step” initiative was born with the purpose of raising awareness about the opportunity of rethinking the role of public staircases in São Paulo and stimulating a change in its use. 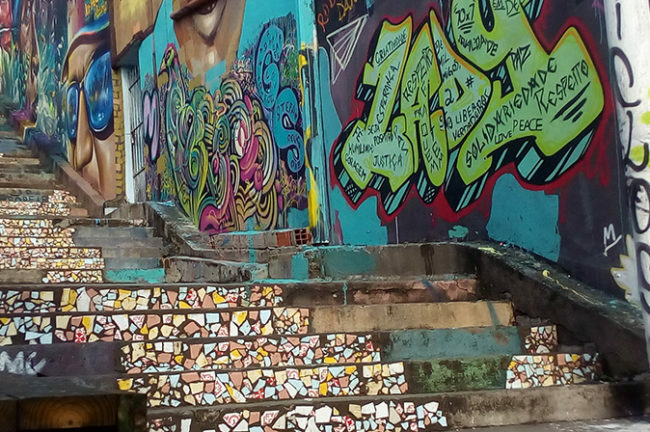 Usually abandoned and degraded, stairways are often seen as unsafe places by the population. 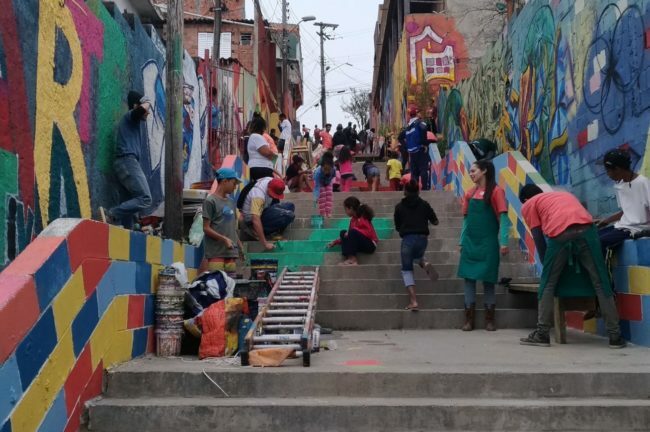 The project faces this challenge of revealing to people the potential that simple and collaborative interventions have on transforming staircases, allow these places to be reintegrated into the pedestrian mobility network and to be used as public spaces for people to gather, for leisure and recreation. The initiative was built on a pilot project carried out in 2014 and 2015 on the steps of Rua Alves Guimarães in Pinheiros, São Paulo. In a context of limited resources and efforts to renovate public spaces, the team challenged the usual ways of researching, designing, and building a project. Thus, a new process of continuous engagement with users has been designed: from interviews to hands-on workshops for the execution of the improvements, the team makes participation a priority – and it is one of the pillars of the organization today. One of the initiative results is the dissemination of methods learned and refined throughout the actions developed in the many stairways of the city, allowing future projects to be led by any citizen in any community. Although stairs are scattered throughout the city, linking major neighborhoods and main streets, when the initiative was launched, there was no significant work available on this subject, not even a reliable database with the location of staircases and their features. Therefore, an important first step into the project was to provide access to this information, which resulted on a collaborative mapping tool.